Looking for ways to keep the kids entertained while they’re out of school for the Holidays? 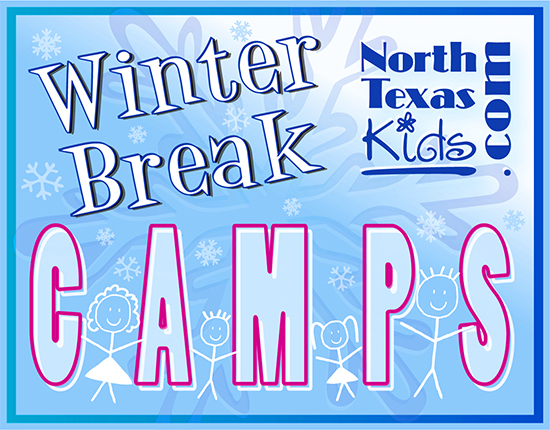 Check out these great winter break camps in the DFW area. Three day art camp painting holiday themes. December 26 – 28, 9am – 12noon, ages 6-13. Cost is $65 with $45 supply fee due on the first day. Ages 6-13. Your young artist will complete eight pieces in four-day camp. Students will learn color theory and mixing, brush strokes, perspective and more. December 19-22 from 2-4:45pm at Huffhines Recreation Center. Cost is $5 plus supply fee of $60 paid to instructor. Ages 7 years and older. Instructor is Chef Scott. December 19-23 and 26-30, 9am – 12Noon and 1-4pm. Huffhines Recreation center. Cost is $120 and supply fee of $25 due to instructor. Need a fun safe place for the kids during the holiday break? Youth will participate in a variety of activities which may include sports, field trips, video games, arts and crafts, and much more. Multiple locations, December 24 – January 4, ages 6-12; cost is $40. Temperatures are down, so let’s get moving! From slithering snakes to chomping chimpanzees, campers will explore the different ways animals move during these single-day camps for students PreK through fifth grade. Each day will focus on a different animal movement or behavior. Single-Day Camps from Dec. 26-28 and Dec. 31-Jan. 4. All winter camps run from 9 a.m. to 3 p.m. and feature: educational tours, games, arts and crafts, up-close animal encounters, and more. Please register your camper in their 2018-19 school-year grade-level. BeforeCamp and AfterCamp care is available every camp day. BeforeCamp runs from 8-9 a.m. at $5/child each day. AfterCamp runs from 3-6 p.m. at $10/child each day. Join us for 3 days of science camp fun. Register for a single day or for all three. Each camp day focuses on a different topic and each camp is divided into two grade bands: K-2nd and 3rd-5th. Camp cost is $25/child/day. Snacks and all camp supplies are provided, but each child must bring a sack lunch daily. The Heard offers two mini-camps that explore a different topic and include indoor and outdoor activities as well as a take home project. Tuition: non-members $22/per mini-camp; members $18/per mini-camp. Observation Nature, Thursday, January 3, 1:00 – 3:30pm. Holiday Craze is a recreational day camp program operated by the Farmers Branch Parks and Recreation Department and is open to children ages 6-12 years (as of October 8, 2018). The program meets from 7:30 a.m. – 6 p.m. at the Farmers Branch Community Recreation Center, located at 14050 Heartside Place. A total of 100 children are accepted for each session. The program includes on-site activities, entertainment, field trips, and much more! Call 972.247.4607 for additional information. Dates are based on the C-FBISD school calendar and are subject to change if the school calendar changes. Two camps for K – 4th grade. Winter Critters Camp, December 26 – 28 from 9:30am – 3:30pm. Take a break from the frigid temperatures outside and come into our Earth Explorers Camp as we learn about ways that animals in Texas avoid the ice and snow. Tuition is $140 non-members; $118 for members. Sibling discount of 10% with code CAMP10 during checkout. This daily program will keep campers busy with age specific activities to keep them stimulated and moving. Activities include daily swimming in our heated indoor pool, structured games, educational activities, arts and crafts and much more. 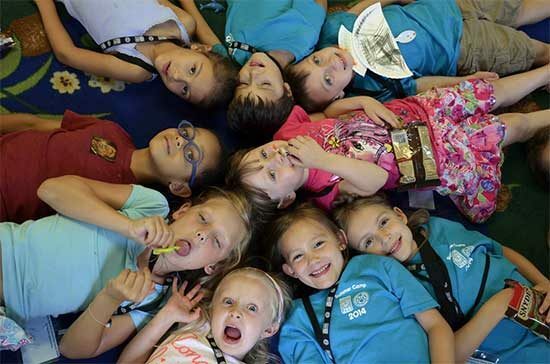 Campers will be split into age-appropriate groups for all activities. December 19 – 31 and January 2-7 from 7:00 a.m. – 6:00 p.m. Tuition: $35/day for members and $40/day for non-members.